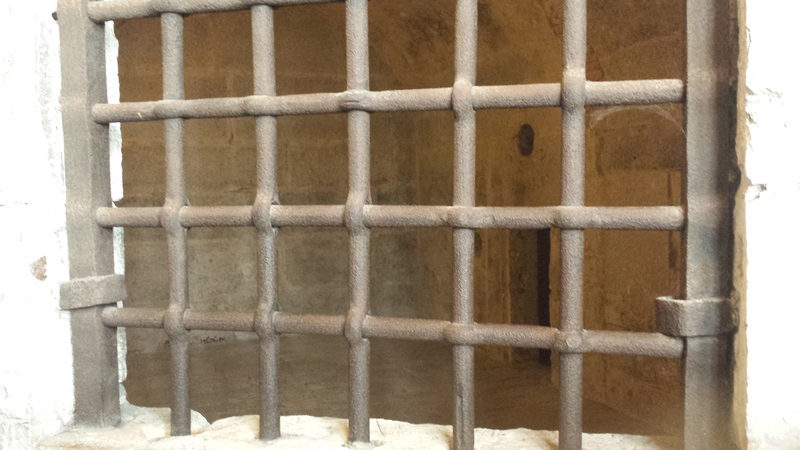 Back during my trip to Venice in early April, I visited one of the most notorious prisons there. 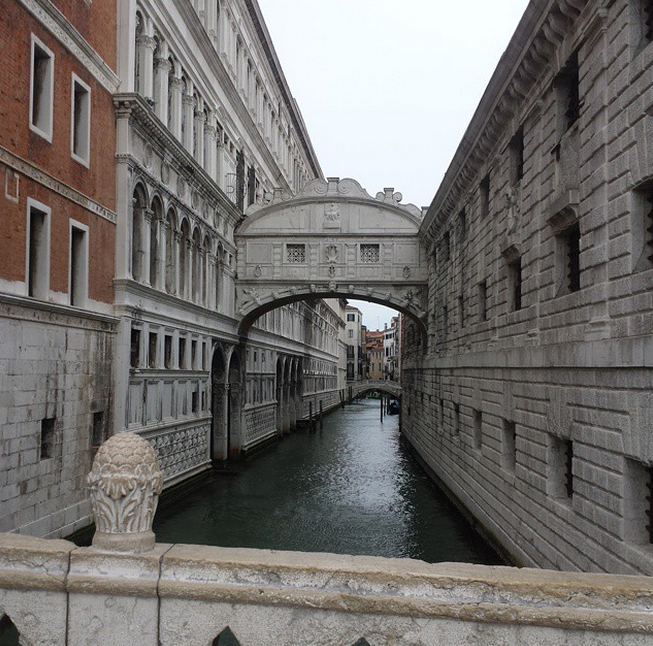 The Palazzo della Prigioni (also known by its nickname, Piombi) is the former prison, which is connected to the Palazzo Ducale by the Ponte dei Sospiri (Bridge of Sighs). Construction began on this building back in the 16th century, so it was certainly around during the 17th! Imagine being imprisoned in this place – it’s rather terrifying! 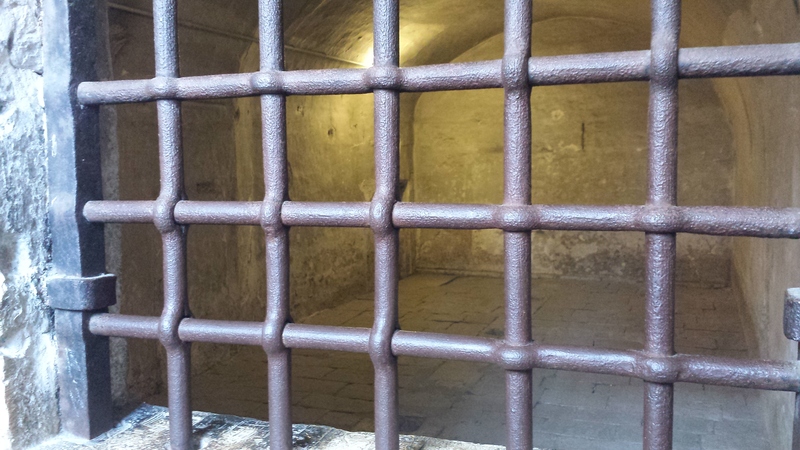 Apparently, it was from this prison that the infamous 18th-century Venetian lover, Casanova, escaped. I gather that it stopped being used as a prison in the late 1790s. 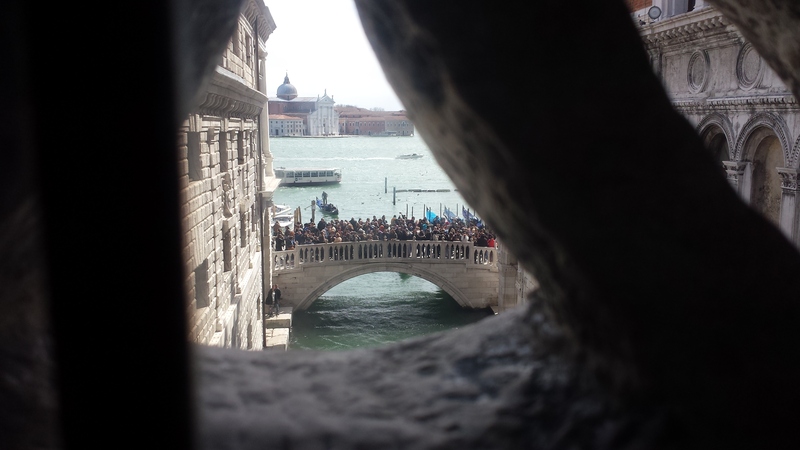 The next photo was taken from inside the Bridge of Sighs towards the popular spot from which people photograph the bridge. The bottom of the prison had numerous beautiful wall paintings, including this one below. It was a bit crowded at this point, so I could only manage the one (sorry!). 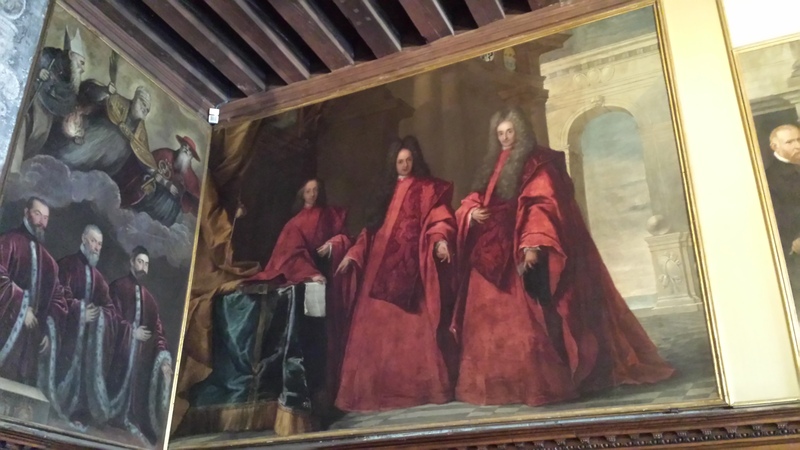 On one of the evenings during our stay in Venice, Gavin and I bought tickets to the “Opera Singers” concert inside the Palazzo delle Prigioni (we bought them from the kiosk directly in front of the prison). The songs included the great pieces from Rossini, Verdi, Bizet, Mozart, Brahms, Albeniz, Lara, Ginastera and Gershwin. Love the pics, Andrea! I’ve never been to Venice, but your post has made me think I’d like to go!